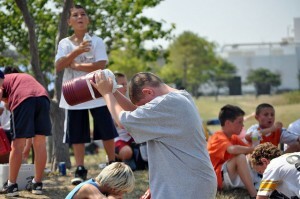 Heat stroke is no joke. It’s a rare, yet life-threatening condition that is preventable. With pre-season football’s high-intensity, 3-a-day practices starting next week, I wanted to get down to the facts about heat illness.